"I want to add to the beauty, to tell a better story." That's one of my fav lines from one of my fav songwriters. When I first heard it many years ago, it became my motto, too. She'd articulated what beats in my own heart. That call to create what is lovely, true and good. It was also at that time when the idea for Bloomin' June first took shape. I'm grateful each time a client shares her celebration or opens her home. Together, we add to the beauty. 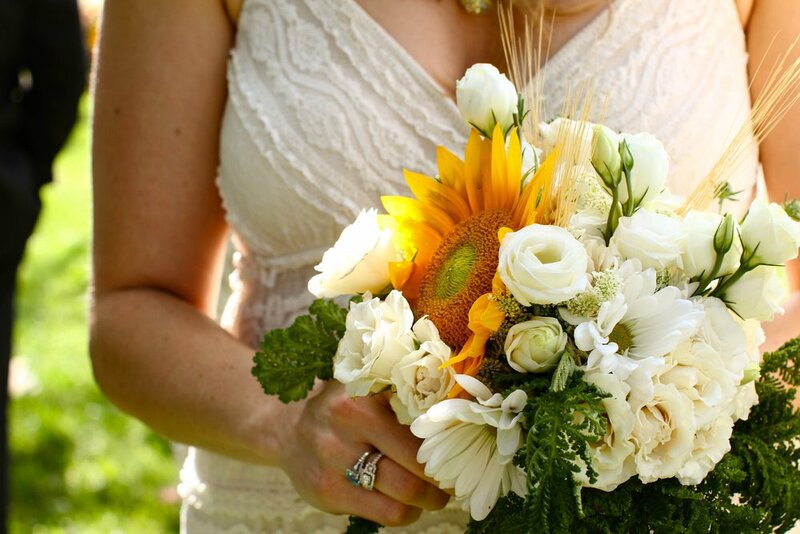 My own bridal bouquet! Perfection for an outdoor summer wedding in Kansas.